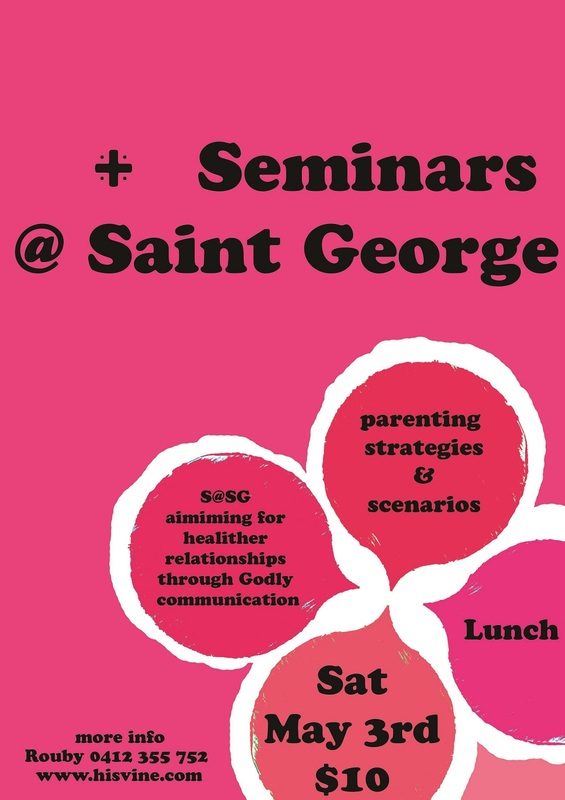 To all the parents with young children – Do not miss this. Our speaker Dr Sara Ghaly would answer all your questions / concerns. Seminars@StGeorge welcome you to the 6th seminar. Come enjoy the relaxed atmosphere, mix with like-minded people and get professional advice. Register and pay: Here online - easy ! 1- 5 ways to a healthier marriage. 3- Setting boundaries with parents, in-laws and friends. 4- New Parents expectations and pressures. 5- Maintaining friendships after marriage. 6- Handling difficult times in marriage. And we have much more planned for 2014.